A romantic option for the discerning traveler... this plantation size, Victorian tester bed is the highlight of this room. Draped in peach, this walnut dreamboat lulls the weary guest. The bathroom is private bath with a bathtub and shower. 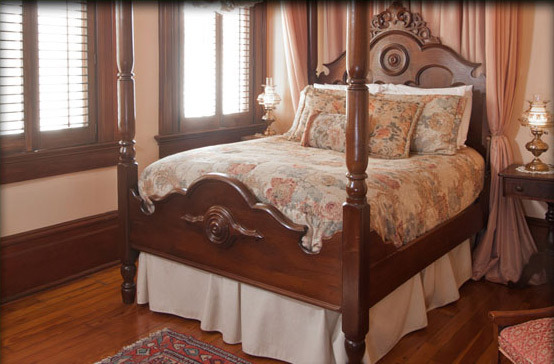 Enjoy this beautiful room in our Garden District bed and breakfast. 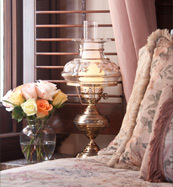 The Grand Victorian offers several locations to accommodate small gatherings of your friends and family while you stay at your home away from home.